Betty Ann (Strong) Pfander, was born October 6, 1933, in Montgomery County, Iowa, to Earl Strong and Della (West) Strong. Betty grew to maturity in Montgomery County and graduated from Bedford High School in 1952. Betty was united in marriage to Horace Duane Pfander on July 06, 1952 at the Sharpsburg Presbyterian Church. To this loving union three children, Nancy, Larry and Steven, were born. The couple lived and raised their family in the Sharpsburg area until 1965 when they moved to Fort Collins, Colorado. Once in Colorado, Betty attended beauty school and with the help of Horace, built a salon in their home where Betty opened and ran "Betty's Chat N' Curl." Betty always enjoyed visiting with her clients and friends. Through the years Betty also enjoyed quilting, embroidering, tole painting and other crafts. She made at least one quilt for every one of her children, grand-children and great-grandchildren. Betty was also a wonderful cook, frequently without using a recipe. Upon retirement, Betty and Horace moved back to Bedford in 1993, where they would spend the summer months. There they enjoyed their Saturday breakfast group at the Junction Cafe. Betty and Horace loved to spend the winter months in Alamo, Texas. There they enjoyed their "Texas friends," country-western music jams, many card games and Bingo. Left to cherish Betty's memory is her loving husband of 66 years, Horace Pfander of Bedford, IA; daughter Nancy Pfander of Colorado Springs, CO; son Larry Pfander of Palm Desert, CA; daughter-in-law Donna (Pfander) Bane; grandchildren, Bryan Pfander, Kerri Jo Sargent, and Megan Gulley; great-grandchildren Camryn Pfander, Stevie Pfander, Lane Pfander, Brynlee Sargent and Susie Gulley; brothers, Wayne (Katherine) Strong, Dale Strong and many other nieces, nephews, family and friends. Preceding Betty in death are her parents; son Steve Pfander; grandson Kyle Powell; sisters Leila Hawhee, Iola Thomas, Hazel Brown and brother Lester Strong. May be given to the family. 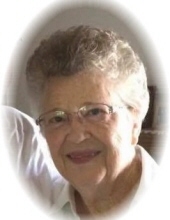 "Email Address" would like to share the life celebration of Betty Pfander. Click on the "link" to go to share a favorite memory or leave a condolence message for the family.